Financial independence, what does it really mean and what does it take to achieve it? 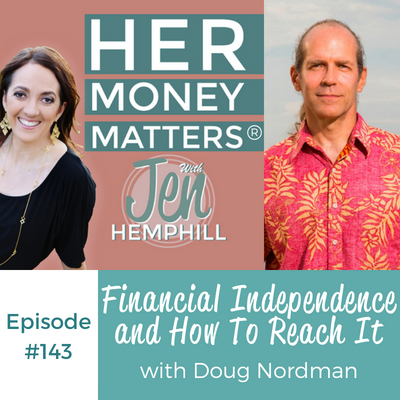 Doug Norman joins us on the podcast to share what it means to him, his story on how he reached financial independence and so much more! Doug defines financial independence as a choice and control over your time. He states that one can be financially independent, and still work. According to Doug, the most important aspect to reach financial independence is maintaining a high savings rate. Essentially, the more money you can save, the quicker you can achieve financial independence. Doug recommends 40% of your income be invested towards your savings. With this rate, you can achieve financial independence within 20 years. After this time, generally 4% of the savings are used for living. When this percentage get to 2-3%, your investments can be self-sustaining. In his case, Doug started saving 40% of his income shortly after he completed college. By doing so, Doug has managed to be financially independent since 2002, and is currently living off his self-sustaining investments. Financial independence returns a third of the time previously spent working. To pass the time, Doug writes, reads, and surfs. He also donates the revenue generated by his literature to a military veterans charity. The first step to reaching your goal of independence is tracking your money. 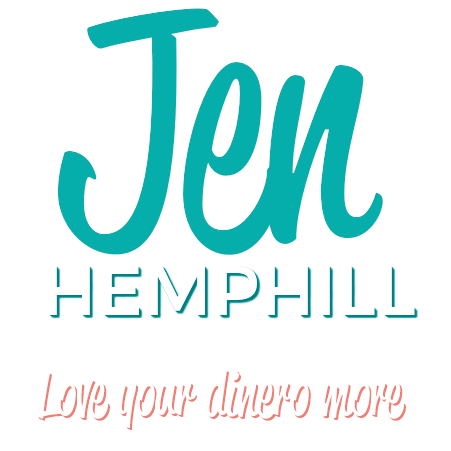 No fancy softwares are needed, simply track your money the way that works for you. After a few months, you can look back at your transactions and determine areas of waste. By transferring wasteful spending to your savings, you can begin your journey to financial independence. Starting your savings investments can be difficult. Your efforts may not be obvious, or your goal of 40% may not be feasible in the beginning. No matter, Doug assures that changes will be evident near the end of the 20 year mark. To be motivated, Doug discusses the fine line between frugality and deprivation. When you feel challenged and fulfilled, you are frugal. When you aren’t doing what you want, and saving too much money, you are deprived. The only person you are competing with is yourself, so you have the choice to delegate your savings. Instead of drastically changing your lifestyle, Doug suggests saving 90% of your bonuses and extras, and using the other 10% to “live a little”. Although Doug worked in the Military for most of his career, he ensures that the math still works for other jobs. He strongly believes in the importance of choosing a career that is fulfilling and challenging, whether that be entering the military or not. No matter, you can still reach financial independence within 20 years by saving 40% of your income. 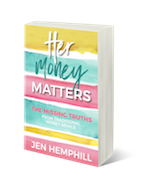 The post, HMM 143: Financial Independence and How To Reach It With Doug Nordman appeared first on the Her Money Matters Podcast.